Shade Perennials by Tanya LaCorte from Reems Creek Nursery. 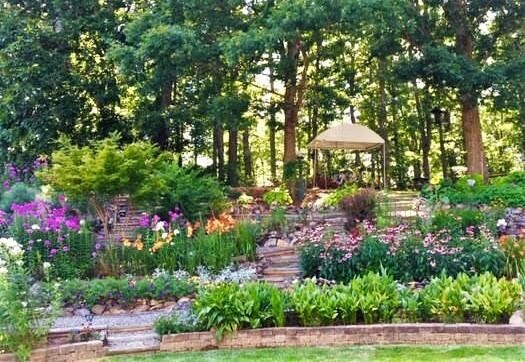 How to Combine Natives into Your Perennial Garden,” a talk by Pat Sommers, who runs her own native nursery in Asheville, Natural Selections Nursery: Plants of the Southern Highlands. Raised-bed Gardens : why and how by Wilma Penland & Ruth Gonzalez of Reems Creek Nursery. Gardening with Native Plants presented by Dr. Alicia Hulse. See extensive resources posted for the public view. Ikebana – how to use the disciplined art of Japanese flower arrangement where nature and humanity are brought together. 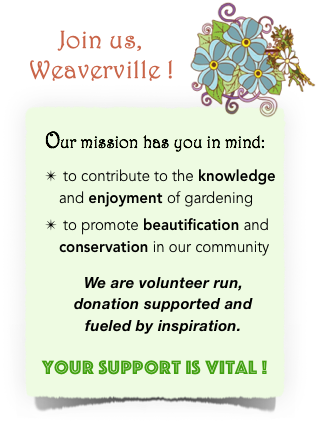 Presented by Suzanne Dillingham of Barnardsville and teacher for Asheville Ikebana .